Final materials for the vestibules are expected to arrive in district by mid-September. The installation of new school vestibules in all eight of Mt. Laurel’s elementary and intermediate schools is underway. The Mt. 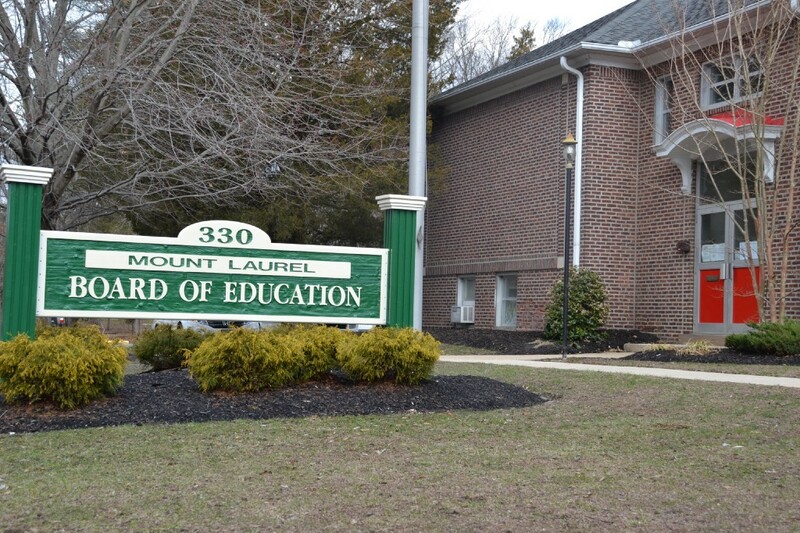 Laurel Schools Board of Education approved the construction of vestibules at the main entrance of each school building earlier this year as part of the 2018–2019 budget, and district officials gave an update on the project at the BOE’s most recent meeting. Vestibules are small, lobby-like chambers at the entrance of a building to serve as an added layer of security. Visitors who enter a building’s first set of exterior doors will find themselves behind a second set of doors, where they can be further screened or guided to another area before gaining access to the main foyer and hallways of a school. The vestibules were just one of several security upgrades the district approved in this year’s budget, partially in response to the shooting at Marjory Stoneman Douglas High School in Parkland, Fla., in February where 17 students and staff members were killed and 17 others injured. According to Mt. Laurel Schools Business Administrator Robert Wachter Jr., the district is making significant progress on the vestibule project at every school building. However, Watcher said each vestibule will not be fully completed by the time school begins this year. Although the district had hoped to have the project completed before the start of the new school year, Wachter said the interior doors needed for each vestibule are on backorder. According to Watcher, many other school districts are undertaking similar projects this summer. “There are a number of school districts doing this very same project, and that’s what’s causing a little bit on an issue with materials and the availability of some workers,” Wachter said. Regardless, Wachter said the doors should arrive most likely around mid-September. The 2018–2019 budget also included a range of additional security provisions, including more security cameras, door lock replacements for exterior doors, classroom door lock replacements and the installation of strobe lights in all purpose rooms and cafeterias to help overcome potentially noisy areas and better alert students and staff of an emergency. This year’s budget also included funding for an expansion of the district’s shared services agreement with Mt. Laurel Township to add a new school resource officer. Previously the district had just one SRO. This year’s budget also included funding to hire a “student assistance coordinator.” According to officials, the position will allow the district to better coordinate prevention or intervention efforts for students who are identified as being at risk. In addition to security upgrades, Watcher said other capital projects at schools, such as the installation of new flooring or painting projects, are also moving forward. “We’re making the buildings look great … the buildings are getting ready to go,” Wachter said.